Red Tilapia (Oreochromis sp.) Rearing Productivity in Running Water of Banjaran Irrigation Area, Purwokerto, Central Java. 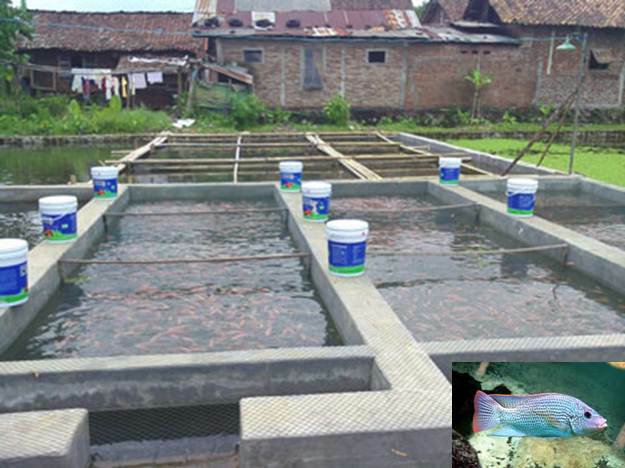 Hidayat A, Fadjar M and Kartikaningsih H.
This research studied Red Tilapia (Oreochromis sp.) rearing productivity level in running water of Banjaran Irrigation Area, Purwokerto. Experimental research was designed with 3 treatments on density, 100, 150 and 200 fish/m3. Common ponds was reconstructed permanently into 3 running water sized 2x6x1 m3with water inlet and outlet in the base of the ponds. Each pond was separated into three parts by using polyethylene net. Volume of water in each pond was 15-17 l/s and the depth was 70 cm. Red tilapias weighed ±44 gwere fed with at satiation method three times in a day. Growth parameters (growth rate, survival rate, feed conversion ratio and feed efficiency) were analyzed by ANOVA test and followed with Tukey’s test. Optimal water quality parameters were with temperatures at 24.5-27.5 0C, dissolved oxygen at 4.5-5.7 mg/l, and pH 7-7.5. Fish density level was in line productivity level, but long period of time was needed to achieve the weight of consumption fish. Red tilapia rearing in running water of Banjaran Irrigation Area, Purwokerto could be conducted with fish density at 200 fish/m3, harvest target over 45 kg/m3, and rearing period over above 60 days. 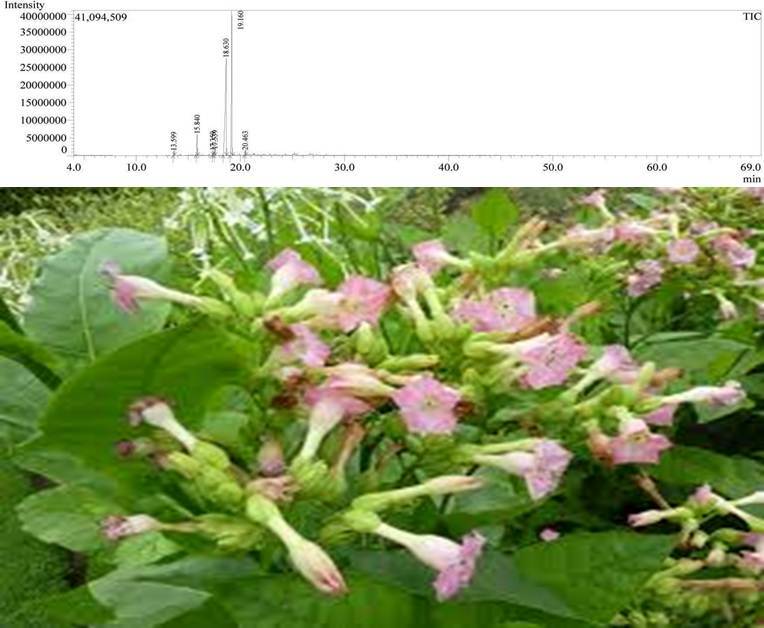 Chemical Compound of Essential Oils from Three Different Area of Tobacco Leaves (Nicotiana tabaccum L.) in Indonesia. The purpose of this research aims to investigate the chemical compound of essential oil from three different area tobacco leaves in East Java, Indonesia. Essential oil obtained by steam distillation of tobacco (Nicotiana tabaccum L.) from three different area, Magetan (1000 g), Bojonegoro (740 g), Ngawi (1663 g) yielded 6.32x10-2 %, 8.43x10-2 %, and 2.16x10-2 % essential oil respectively. Composition and characteristics of chemical compound in essential oil were analyzed using GC-MS method. The result showed total of 7 components from Magetan’s tobacco, 6 components from Bojonegoro’s tobacco, and 7 components from Ngawi’s tobacco. The major essential oil components were cis-11-tetradecenyl acetate, methyl eugenol, and solanone. This chemical compounds have the potential to be used as a mixture of perfumes, pesticides, and some of them have a pharmaceutical effects, so thus giving more benefits other than as raw material for cigarettes. Study of Alginate Sargassum Filipendula with FTIR Confirmation. The purpose of this study is to get a combination of treatment and duration of extraction and purification with isopropanol to obtain a high yield of alginate from seaweed thallus part Sargassum filipendula. This study uses RAK with two factors, the first part of the plant: intact, tip, root and leaf. The second factor is the length of extraction that is: 1, 1.5 and 2 hours with 3 replications. The best results were purified by isopropanol 85%, 90% and 95%. The best treatment is at the base with a 2 hour long extraction with fresh seaweed conditions and purification with 95% isopropanol produce alginate salt to yield 26.96%, 14.31 cps viscosity and ash content of 35.25. Hg content of 0.27 ± 0.05 ppm, and Pb of 6.30 ± 0.05 ppm, still under provisions in force. Confirmation FTIR, OH hydroxyl group around 3354 cm-1. The presence of the carbonyl group (CO) at 1618 cm-1, in the area of 1487 cm-1 for the bond between (CC) at 1068 cm-1 and the building blocks of salt alginate is the presence of carbonyl C = 0 and the hydroxyl group (OH) and the Association of carbon and carbon COC. A Survey on Breeding Practice, and Productive Performance of Simada Cattle in Tach Gayint District, Ethiopia. Getie A, Hile Melekot M, Taye M, Wuletaw Z and Tesfa A. The study was conducted to evaluate the breeding practices, milk yield and reproductive performance of Simada cattle in Tach Gaynit district. Two types of data viz. monitoring and survey was used. Primary data was collected from 180 respondents from six kebeles using a structured questionnaire and 120 Simada phenotype cows were monitored and followed for six months (October to March), 2014. The data was analyzed using the general linear model procedures of SAS (version 9.2). In the district the major cattle breeds kept by the farmers was local zebu cattle (Simada breed). In the study area, these breed were the main dairy cows for milk source. Milking was done twice a day with hand milking. From the total 35% of the respondents reported that they wash their hands and milk utensil before milking, as a hygienic practice. The overall average mean of NSC, AFS (months), AFC (months), CI (months), GL (months), and LL (days) were 1.13±0.03, 40.74±0.33, 49.77±0.33, 26.04±0.01, 281.12±0.33 and 203.54±1.40, respectively. Daily milk yield of Simada breed cow in the study area at the early, mid and late lactation was 2.07, 1.74 and 0.80 liters, respectively, with an overall milk yield of 1.54 liter. Stage of lactation and parity had shown a significant (p < 0.001) effect on average daily milk yield. Milking time also significantly affected milk yield that morning time milk was higher than that of evening. Cattle production in the study area is mainly an integral part of mixed crop-livestock production system where they are kept for multiple functions. 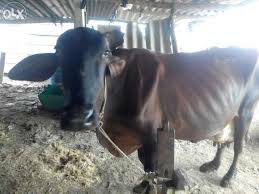 Consequently, training and awareness creation on milk handling and improving the reproductive performances of the breed had better be addressed.